This is the beginning of the 4th week for August 2016 and the 3rd week for NFL preseason football. The summer temperatures are still around with the fall season being only one month away, so make sure you still are outside enjoying the warm weather. It won’t be long before the colder temps start to make their way into our lives. We have some new reviews ready for the music loving audiences out there taking the time to read our blogs. We appreciate all the fans and hope you find your browsing experience on the site enjoyable. The first in the list of r&b and hip hop mixtapes to be reviewed comes from DJ Cinemax. 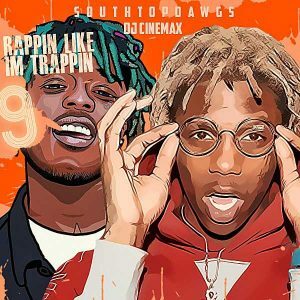 He’s back with another installment of the “Rappin Like Im Trappin” series for the streets with Lil Yachty and Lil Uzi Vert making the cover of this edition. The 9th installment of the library contains records by lyricists such as Chinx, Chief Keef, 21 Savage, Just Rich Gates, Pollari, Futuristic, K. Camp, Tha Captin, Hecto, YB, Curren$y, Mistro, Quentin Miller, KAAN, Arjel Blanc, Shad Da God, TK Kravitz, Derrick Milano, and other emcees on this 43-track playlist. Next, DJ L-Gee drops volume 60 of the “Movie Madness” franchise. 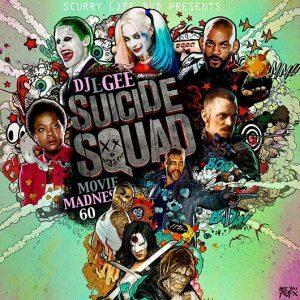 This one is sub-titled “Suicide Squad” and you might have noticed that this collection of mixtapes are themed after blockbuster flicks that are currently in movie theaters. Artists to look for on this drop include Sadaday, A$AP Rocky, French Montana, TxStyle, Dave East, DJ Khaled, Nas, Phade Phozz, Pokerface, Grafh, Reele Major, Mozark Rick, Juelz Santana, N.O.R.E., Papoose, J Doe, and much more. 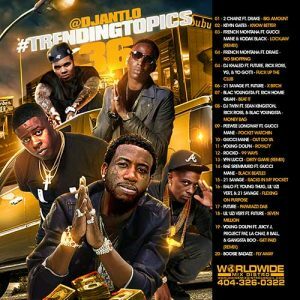 DJ Ant Lo brings you a drop that showcases the latest hit records receiving heavy rotation with the “Trending Topics” franchise. Artists making the cut of number 36 in the series include 2 Chainz, Kevin Gates, French Montana, Drake, DJ Twin, Blac Youngsta, Young Dolph, Rocko, Kodak Black, YFN Lucci, Ralo, Young Thug, Project Pat, and other popular industry acts on this 20 song product. Easily browse all of the DJ Ant Lo mixtapes on the site by using the suggested feature. 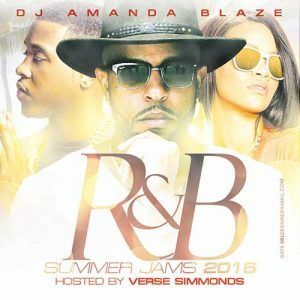 DJ Amanda Blaze, who goes by the tagline “The Hottest Chic In The Game”, releases the 2016 edition of the her “R&B Summer Jams” franchise hosted by Verse Simmonds. This drop contains 26 tracks with records from the host, Jeremih, Nicki Minaj, Jaquae, Mack Wilds, Luke Nasty, Ace Hood, Fabolous, Meghan Trainor, Mishon, Lil Uzi Vert, Sonyae, Carnage, Shakka, Yo Gotti, Travi$ Scott, and more of the summer’s hottest performers. Check out one of the most talented female DJs in Miami by stopping through her Instagram page here. Finally, Traps N Trunks brings the hood another product in the “Strictly 4 Traps N Trunks” southern mixtapes. 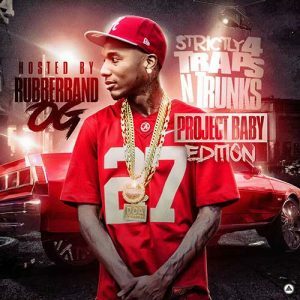 Rubberband OG hosts the “Project Baby Edition” with appearances by emcees such as Young Scooter, Moneybagg Yo, Skippa Da Flippa, Real Young, Migos, Young Buck, Alley Boy, 21 Savage, Block 125, Super Nard, Chris Pride, Matt Blaque, Coo Wop, Flizzy, and many more up and coming rap artists. That’s all we have for this blot post of music reviews. New funk is constantly being added on a daily basis, so make sure you stop by a few times a day. This is the best site on the planet for free mp3 downloads! The least we ask is that you spread the word about us to everyone that you know.